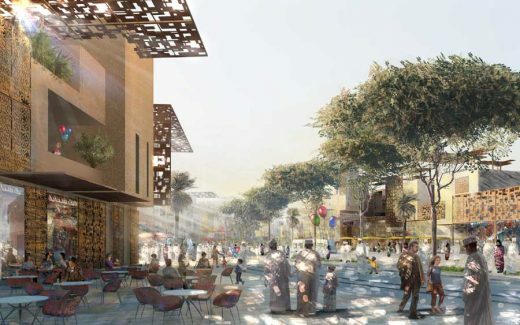 Foster + Partners has revealed plans for a new, compact city for an estimated 200,000 residents that draws on traditional Omani architecture while offering a sustainable and contemporary lifestyle with the optimum urban density. 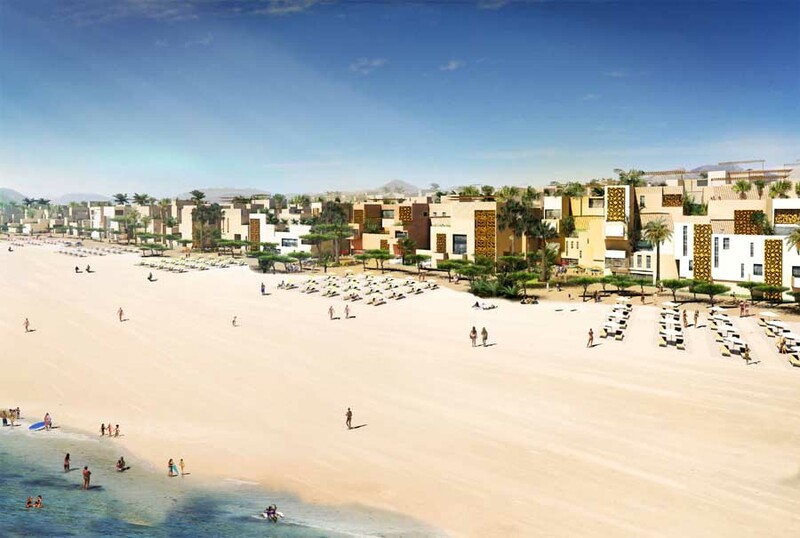 Located on a coastal stretch to the West of Muscat, the scheme will celebrate this dramatic waterside setting, bringing development and job opportunities to the region. 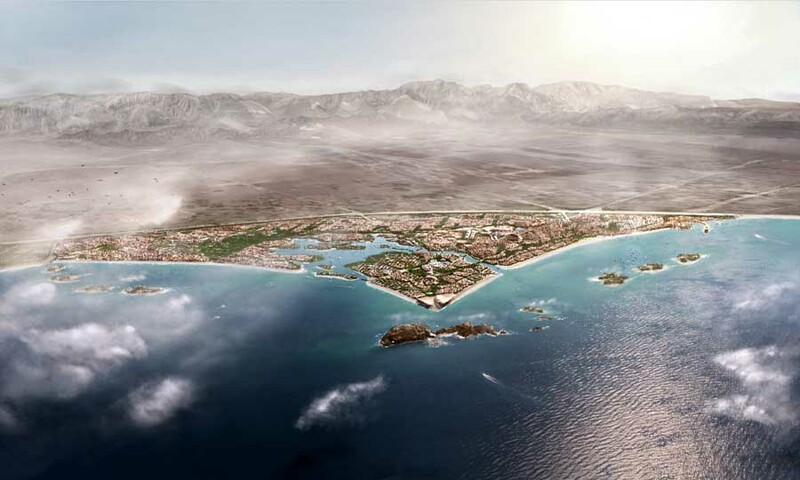 The new city will be called Al Madina Al Zarqa, which means ‘Blue City’. The masterplan has a richly layered grain, comprising a series of clustered communities with private courtyards and narrow, winding streets that fuse seamlessly with an efficient transport and road network extending across the site. 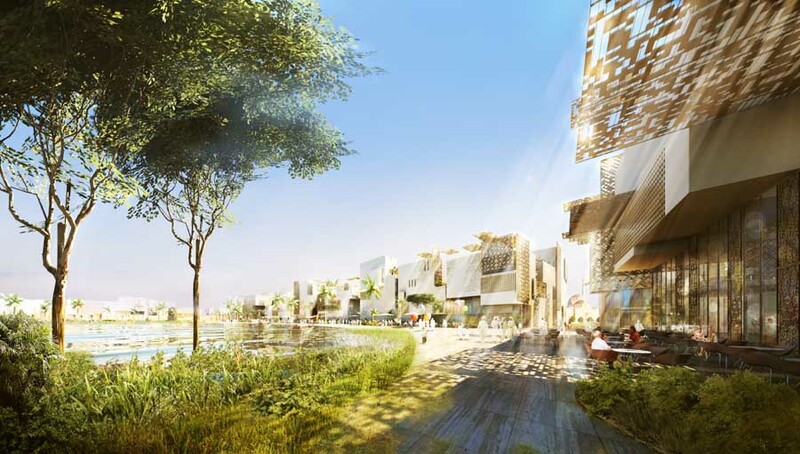 A contained city, there will be schools, a university, stadia, golf facilities, a concert hall, marina, hotels, health facilities, souks, as well as further retail and amenities serving the individual communities. The beaches will be improved to the highest resort standards and the creek (or Al Khor) extended, with hotels, restaurants and a pedestrian route concentrated along the waterfront. A further network of shaded, pleasant pedestrian routes continues throughout the site, while the wider roads are characterised by a careful balance between pedestrians, cars and public transport. Each residential community will have its own identity. The apartment buildings will offer residents their own private courtyard and discreet car-parking. The material palette will comprise locally sourced stone and timber. Borrowing from the indigenous architectural heritage, the design is small scale, compact and organic. It is inherently sustainable through passive means, such as natural ventilation, careful orientation – to minimise direct sunlight and maximise ventilation – and the manipulation of the thermal mass of the buildings. The communities have a layered concentric structure, with each layer becoming more private and intimate as it retreats to the heart of the residences – respecting Omani traditions of privacy and an internalised architecture as seen on the Omani heritage settlements of Bahla and Manah. Designed to appeal to a diverse social mix, the city will grow to be a dynamic social-economical combination of integrated land use.